Every single time the state of Jammu and Kashmir is explored, a new paradise is discovered. Therefore, it wouldn't be wrong if we say that Jammu and Kashmir is the land of magical nature. It has each and every corner resembling the setting of heaven. The perfect soothing climate, a pleasant environment, green surroundings and rejuvenating streams - all these entities together certainly make a place heaven. So, if you are looking for such an amazing place where you can spend your vacation comfortably, then here we are to provide you with the best of destinations. Yes, located in the vicinity of Srinagar, Kokernag is that stoppage which can interest you to the core and compel you to stay in Jammu and Kashmir forever. Let's learn more about this beautiful expanse and why you must visit it. Undoubtedly, Kokernag is a year-round destination, and hence its beauty can be savoured anytime during a year. However, if you are looking forward to avoiding its chilling winter season, then the best time to visit Kokernag is from July until the end of September. Kokernag is located in the Anantnag district of Jammu and Kashmir and is a popular weekend getaway in the region. As it is only famous amongst local tourists and a few offbeat travellers, it maintains a peaceful and unpolluted environment. But do you know what all things make Kokernag? 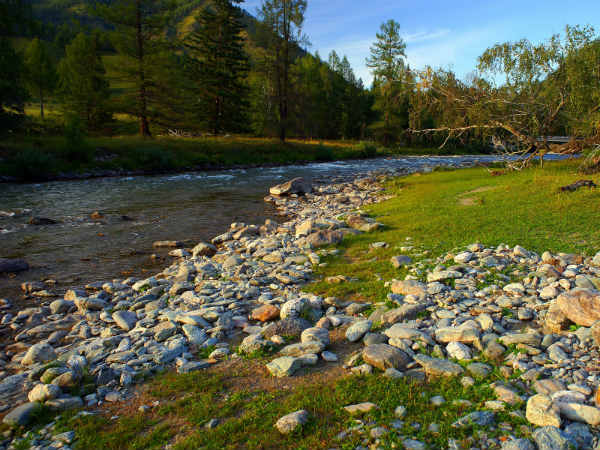 Well, let us tell you that Kokernag has become immensely popular on account of its fresh water springs, lush green gardens, picturesque surroundings and trout farms. Yes, this unknown destination of Jammu and Kashmir has Asia's largest trout fishery. So, when on a trip to Kokernag, every traveller is supposed to savour the taste of a trout delicacy. Kokernag Botanical Garden which is blessed with natural springs, colourful plants and green lawns is the largest garden in the state. So, don't you think it would make for a perfect holiday destination this season? If you have been longing for a secluded destination where you can just relish the beauty of heavenly nature, then Kokernag is your stoppage. From lazing by its fresh water springs to witnessing its beautiful gardens and savouring local delicacies to photographing the unknown side of the Jammu and Kashmir, there is a lot to do here. By Air: If you are looking forward to travelling by air, then you can take a direct flight to Srinagar airport and then from there, you can hire a direct cab or use the public transport to reach Kokernag. The distance between Srinagar and Kokernag is 90 km. By Rail: The nearest railway station to Kokernag is located in Anantnag at a distance of about 25 km. Once you have reached the station, you can either hire a cab or take a bus to reach Kokernag. By Road: Kokernag is well connected to all other nearby cities and towns by road. You can either drive on your own or use the public transport to reach Kokernag.